Does the firmness of your mattress make a difference in getting a good night’s sleep? 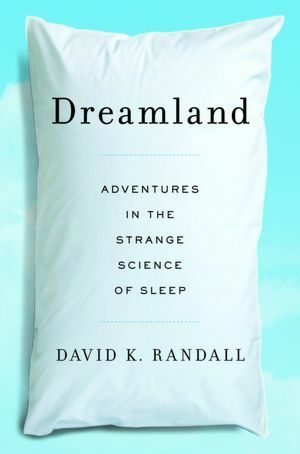 With a conversational tone that draws on scientific inquiry, David Randall, a sleepwalking journalism professor describes his own “Adventures in the Strange Science of Sleep” in Dreamland. Prompted by his own middle of the night excursions, Randall searched for the solution to the perfect night of rest through thirteen chapters of history, experiments, and advice that includes anecdotes ranging from the influence of medieval gates to Edison’s light bulb. Randall addresses sleep apnea, sleepwalking, insomnia, getting infants to sleep, sharing a bed, interpreting dreams, and the problems of sleep deprivation, and jet lag – with suggestions for each. Randall found that “What people think is more important than what they do.” Shut down your brain and the mattress won’t matter (unless you think it does). I favor a nice cool pillow. This entry was posted in authors, book review, books, nonfiction, reading and tagged Adventures in the Strange Science of Sleep, David Randall, Dreamland, Health, Jet lag, Randall, Sandman, Sleep apnea, Sleep deprivation, Sleep disorder. Bookmark the permalink. I’ve never been a good sleeper. I like to sleep but go through periods of insomnia and trouble staying away. I’m in one of those spells right now so I should probably take a look at this. I break a lot of sleep rules already! Not sure this book will give you any information you don’t already have, but maybe reinforce and promote good habits?